If you like the sort of logo design inspiration that has it’s feet firmly in the real world, and not in the make-believe, then I’m hopeful you might like what Logo Stack has to offer. I started Logo Stack because I was getting a bit jaded with the sheer amount of conceptual, made-up brand name logo designs popping up whilst researching and gathering inspiration for my own logo design projects. We think we have control over what inspires us, yet we are swayed even when we don’t consciously know it, inspiration is a powerful beast. When you end up not knowing if a logo was designed to a brief and real world application, or simply more of a portfolio filler—not saying there is anything wrong in make-believe logo designs, simply stating that it’s nice to be able to know exactly how and why a particular logo design came to be—then the boundaries between logos that represent real brands, and those that do not, are blurred to a point where real world logos seem to fade into the background. The kind of logo inspiration one is ‘consciously’ seeking can be quite different to the inspiration our minds just relentlessly catalogues in our brains, and will often steer our creative direction as it pleases. You can be sure that every logo design you see has been used, or is in use by a client in the real world. That every logo you’ll see generally has a purpose and application behind the development and design of said logo. I think the distinction between real and fantasy is quite important, more so when some logo design galleries are simply choc full of the conceptual. You may not care if a logo is real or not, that inspiration is inspiration regardless of it’s intended use or destination, but I think it’s a little more important than that in some cases. Hence why I started Logo Stack, so at least there is a place to go should you just want ‘real’. 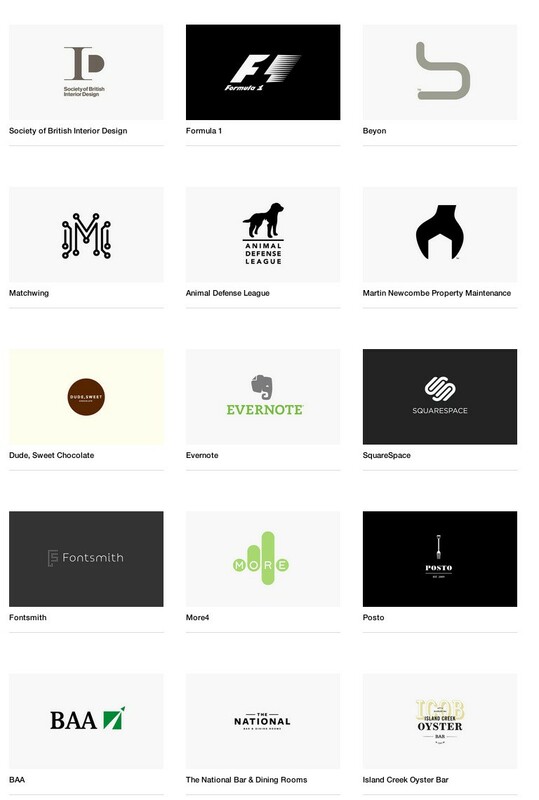 The other aspect about Logo Stack is that it’s primarily a collection of logo designs that I personally like, rather than a collection of all and any design. It sort of started as my own personal inspiration hub, but ended up becoming openly available the more I realised other people were interested in seeing what sort of logo designs tickled my fancy. I’m also careful about attributing the proper credits and links to each logo design and it’s designer: be it a solo endeavour or a major agency. Therefore, each Logo Stack post details the project name, and the designer/agency responsible with links back to their home page, and if applicable, the actual project page. I also add only one style of post Tag: this is the designer/agency name, which means there is a healthy database of names being indexed, and are of course searchable. Quite a number of logos come from Mr Cup, (what used to be Graphic Exchange), but also come from many other sources. So if I haven’t stumbled across an agency website on my own travels, then I’ll also add a credit to the website I found out about that particular logo. As mentioned above just want to be absolutely bloody clear that I am not dissing the: conceptual, the made-up, the experimentational* (*apparently not a real word) logo design. What I am trying to do is just create more of an awareness between what we allow ourselves to be influenced by. I have done my fair share of experimenting and still do… it’s an important way to keep ones skills fresh as well as just enjoying the freedom of designing for the hell of it. But sometimes I just want and need to be influenced by the real, not the unreal. Feed: You can follow the updates to Logo Stack by the websites feed (RSS), and view in your favourite feed reader. 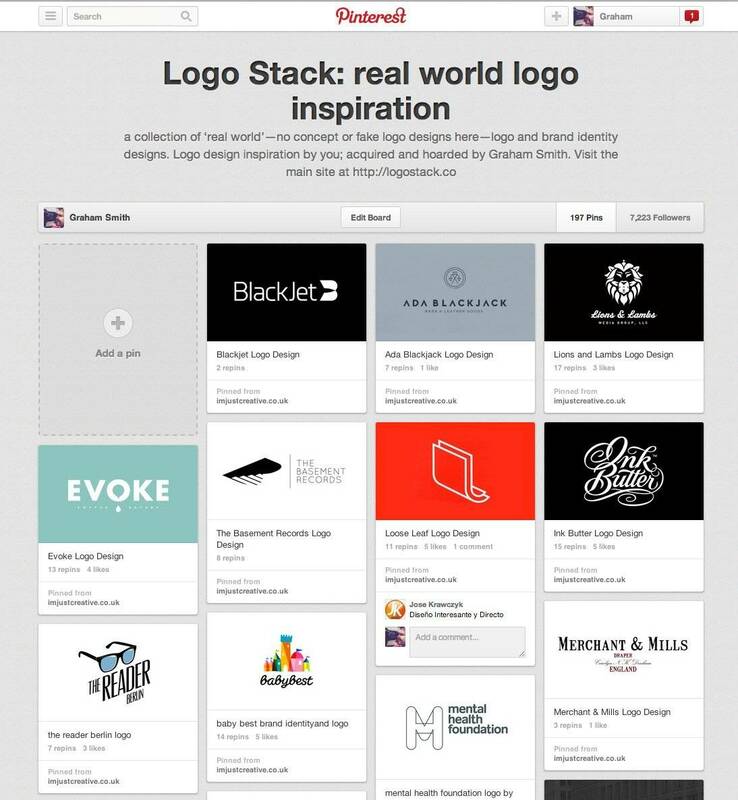 Pinterest: There is a Logo Stack board on Pintertest, so if this is your inspiration hub, then you’ll easily be able to keep-up-to-date. Designspiration: Shelby is doing a terrific job over at Designspiration, and I have finally been able to create a Logo Stack section over there as well. Flickr: I have created a Flickr Logo Stack Set that also will contain all new logo designs published to Logo Stack. Tumblr: Each Logo Stack post is sent on it’s merry way to my casual tumblr account, but it’s not specific to Logo Stack.